The EPSM-10GX is a managed Layer 2+ Ethernet switch module in an ultra-compact 2.2" x 3.3" (55 x 84mm) size offering 24 10/100/1000Mbps copper ports + 2 10Gbps SFI ports. 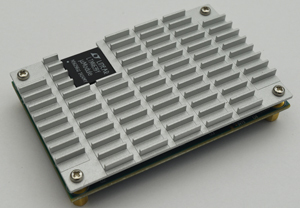 The module is intended to be used on a carrier board. The core Ethernet switching technology is almost fully encapsulated on the module; for many applications, only the "last inch" of magnetics and I/O connectors is required to complete the circuit, enabling easy development of custom form factor Ethernet switch solutions. The small size, based on the industry-standard COM Express Mini form factor, makes EPSM-10GX a perfect choice for use as a building block for creating custom Ethernet switch solutions in a variety of space-demanding applications, such as drones, ground and underwater vehicles, and robots. 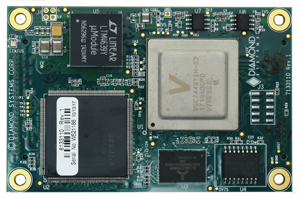 EPSM-10GX can also be mounted on a carrier board to create quick Ethernet switching solutions in other industry standard form factors such as VPX. Customers looking for a complete off-the-shelf solution may be interested in our EPS-24G2X, which provides all of the switch’s features in the industry standard 3.5 inch form factor. EPSM-10GX is designed to meet the challenges of vehicle environments with its -40/+85°C operating temperature range and its MIL-STD-202G shock/vibration resistance. A design guide provides instructions for incorporating the EPSM-10GX into your own circuit. 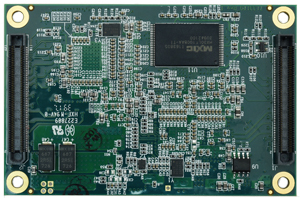 Under NDA a complete carrier board reference schematic and PCB layout are available to provide the starting point for a custom Ethernet switch based on the EPSM-10GX. This design is also available off the shelf as our EPS-24G2X product.